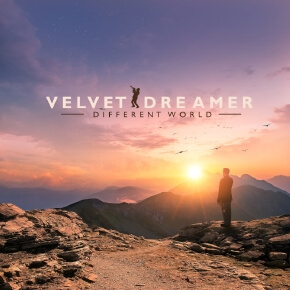 „Different World“ is the 5th album by Velvet Dreamer, alias Tim Gelo from Germany. Berlin based trumpet player and music producer stays true to his style and his unique sound aesthetics and has produced 15 beautiful tracks most of which featuring his sensitive and gentle trumpet play. Michael Buk is a guitar player from Berlin and has already appeared on the earlier Velvet Dreamer albums „Eternal Beauty“ and „Remixed“. Ilia Skibinsky plays the saxpophone on the track „Blissful Journey“. Now let’s dive deep into Velvet Dreamer’s music world – it is a journey that requires a huge bag for all the beautiful souvenirs that can be found along the way.